Filipinos love to eat because we bond over food, spend quality time and create memories together. That’s why for practical moms out there, Jolly Claro Palm Oil shares budget-conscious secrets beginning with proper planning to smart grocery shopping that is guaranteed to set up your healthy-eating to success. 4. Keep a regular stock of must-have items in your kitchen. If you needed the reason to believe that you should keep in your pantry a list of ingredients essentials, think of this opportunity to expand your repertoire. Cheese, eggs, and butter, are some of the dairy mainstays you can count on because of the many dishes you can make out of it. Chicken is one of the staples you can prepare in a variety of ways, so stocking up different parts for later use from legs, breast, and wings can save you from last-minute grocery runs. Lastly, we’re big proponents of items that don’t need refrigeration and are versatile to use in many dishes—like rice, pasta, canned tomatoes, and palm oil. 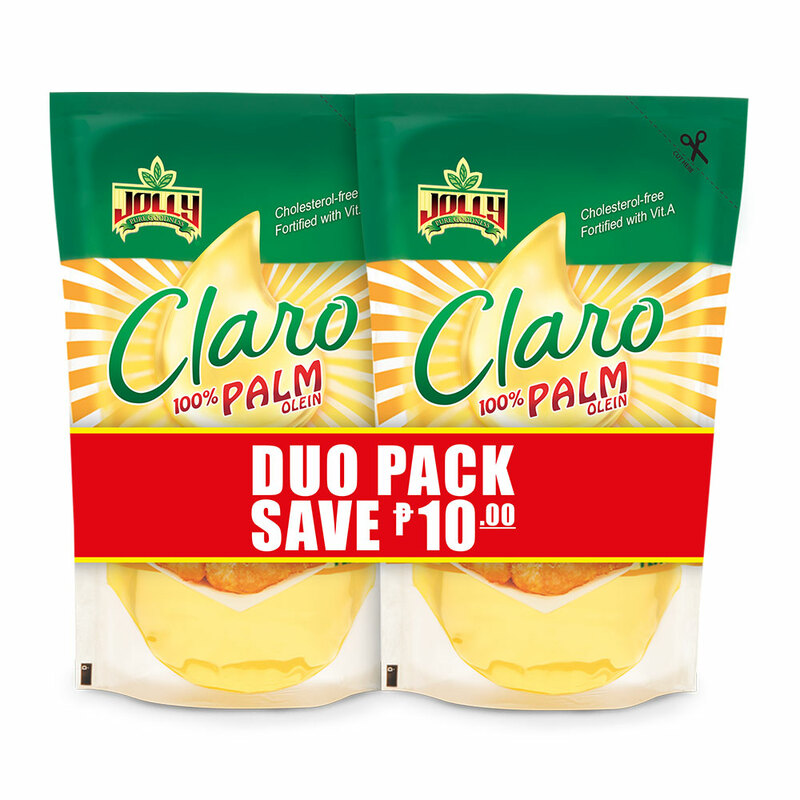 Using cooking oil that has a high smoke point such as Jolly Claro Palm Oil, you can prepare a variety of flavorful recipes and dishes for the whole family. This hack won’t only save you time for lazy weeknight dinner recipes, you’ll be glad too that it’s there when your family is looking for deliciously no-fuss meals instead of calling for home delivery. Jolly Claro Palm Oil boasts quality as it has gone through a 5-step process: twice filtered and refined thrice, true to its tagline “Oilinis, Oilinaw, Oilinamnam”, said Product Manager of Jolly Claro Palm Oil, Maita Monsalud. “Jolly Claro Palm Oil remains clear and neutral even after several usages, making it really sulit,” she added. With these simple tricks, any practical homemaker who already loves food could save more and enjoy deliciously affordable meals for the whole family. 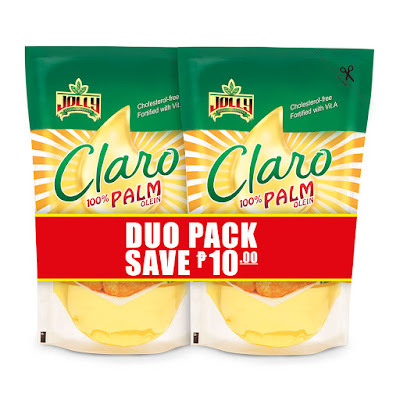 Be sure to take advantage of Jolly Claro Palm Oil duo pack and save P10 in every purchase. Visit facebook.com/JollyClaro/ for more information.